We’ve already told you about the benefits of DU Battery Saver when it comes to squeezing more battery life out of your Android device, but there’s more – the app has recently added an intriguing phone cooling feature, too. 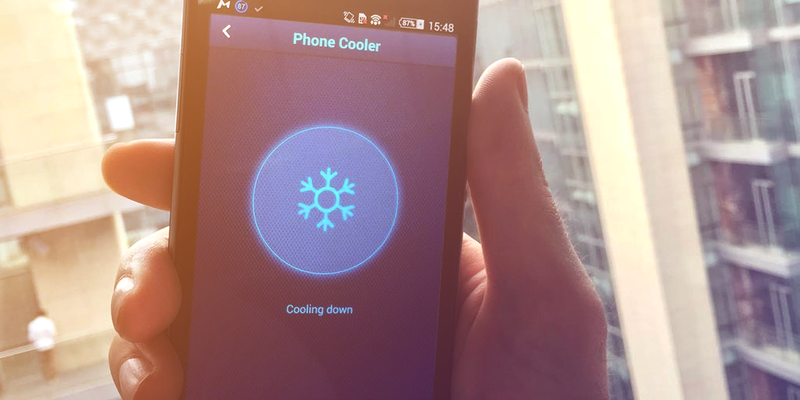 In the app’s Saver menu you’ll find the Phone Cooler tool that will scan your smartphone for any apps that cause excess heat. Your phone’s temperature is mainly determined by its CPU. Apps that increase CPU usage for a long period of time can cause the CPU to overheat, potentially reducing the lifespan of your device. The Phone Cooler feature in DU Battery Saver works by systematically monitoring, managing, and (when appropriate) disabling such apps in order to reduce phone temperature to a safe level and protect your hardware. Data from the app developers shows that the average overheating temperature of a phone’s CPU is 63℃, which could damage the phone’s hardware if left unchecked for too long. The Phone Cooler feature allows users to easily cool down their phone’s CPU down to an average of 37℃, a safe operating temperature. DU Battery Saver is a free download, and you can check it out at the link below.